Sony has released a trailer for the home video release of Venom, turning the movie into a love story between Eddie Brock and the titular symbiote. Prior to the release of this Spider-Man spin-off centered on one of the character's most beloved villains, Sony had been having a lot of trouble in the comic book movie department. That is no longer the case. Critics seemed to be flat out wrong on this one, as the Marvel Comics adaptation has become a huge hit. Now, it's been revealed those who enjoyed what Venom had to offer can bring the action home next month. Venom will arrive on digital HD starting December 11, with the Blu-ray/DVD and 4K Ultra HD release arriving a week later on December 18, just in time for Christmas. The timing is, no doubt, not a coincidence. This also signals a remarkably fast turnaround from theatrical rollout to home video release, as the movie arrived in theaters on October 3. That's just two and a half months. Studios have been pushing for shorter windows between a theatrical release and its home video release and this is about as quick as it comes for major blockbusters. As for the trailer, it's a clever bit of marketing by Sony, who managed to turn Venom into one of the most unexpected hits of the year. 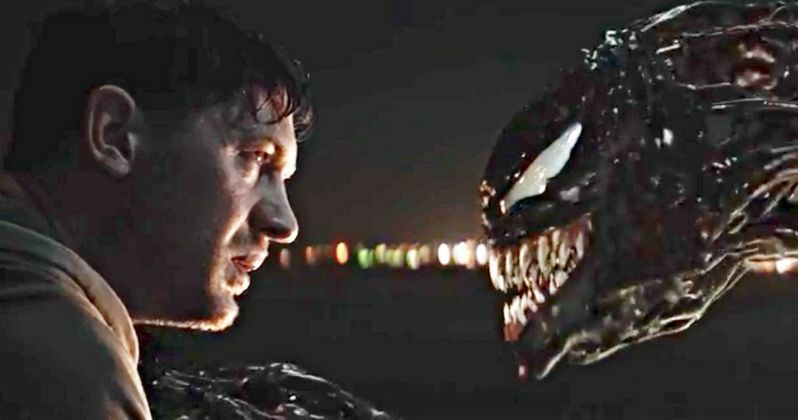 Taking a page out of Deadpool's playbook, this trailer focuses on the relationship between Tom Hardy's reporter character Eddie Brock and the alien symbiote he bonds with to become the comic book anti-hero. Why not have a little bit of fun at this point? For the studio, this is going to serve as a victory lap as well as icing on an already very sweet cake. Despite the fact that critics largely panned Venom (currently sitting at 29 percent on Rotten Tomatoes), the movie has gone on to become the fifth-highest-grossing movie of 2018 overall at the worldwide box office with $822 million. That, just for reference, is better than any X-Men movie, including Deadpool, and even Wonder Woman. Even if it's for the wrong reasons, audiences have simply disagreed to a dramatic degree with critics on this one. Now, Sony has a strong leg to stand on in the comic book movie game once again and we should expect more Spider-Man spin-offs to be given the green light in the near future. Ruben Fleischer (Zombieland) directed the movie and, given the success, it's expected that Venom 2 will officially be announced very soon. The studio recently dated two untitled Marvel movies for 2020, and it's expected that one of them is going to be the sequel. Tom Hardy previously revealed that he signed a three-picture deal, so he's already on board. But he'll surely be getting a nice pay bump. Be sure to watch the home video release trailer for Venom from the Sony Pictures Entertainment YouTube below.